The sector of the industry employs upwards of 7 000 people in 14 sugar mills and at the companies’ administration offices in KwaZulu-Natal and Mpumalanga. Illovo Sugar Ltd and Tongaat Hulett Sugar Ltd own four mills each while RCL Foods Sugar & Milling (Pty) Ltd owns three mills. Gledhow Sugar Company (pty) Ltd, UCL Company Ltd and Umfolozi Sugar Mill (pty) Ltd own one mill each. Two of the mills owned by RCL Foods are located in the Mpumalanga province while the remainder of the mills are located in the KwaZulu-Natal province. Four of the mills are known as “white end” mills and produce their own refined sugar. Part of the raw sugar produced by RCL Foods is refined at the Malelane “white end” mill, and the balance is exported via the sugar terminal in Maputo, Mozambique. 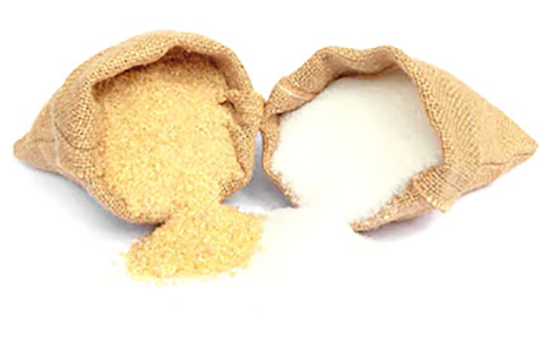 The raw sugar produced at the remaining mills that is not used by the milling companies for exports of bagged refined sugar or direct consumption raw sugar, is routed to Durban. Here it is either refined at the central refinery of Tongaat Hulett Sugar Ltd or stored at the South African Sugar Association Sugar Terminal prior to export. Diversity is the key factor in today’s highly integrated sugar milling operations. Among others one of the mills produces a range of other products such as ethyl alcohol and furfural and its derivatives, although these activities are outside the industry partnership. Illovo Sugar presently operates four sugar mills in South Africa, one of which has a refinery and two which have packaging plants. It has three cane growing estates and, in addition to producing specialty sugars and syrup, also produces a variety of high-value downstream products. Tongaat Hulett Sugar Limited operates four sugar mills in South Africa two of which have packaging plants, a central refinery in Durban which has its own packaging plant, various sugar estates and an animal feeds operation. RCL Foods Sugar & Milling (Pty) Limited operates three sugar mills two of which have refineries, a packaging plant, sugar estates, cane and sugar transport and an animal feed division. On the 10 September 2009 Gledhow Sugar Company (Pty) Ltd came into being. The company ownership is comprised of supplying growers with 25.1% equity; a long established miller (Illovo Sugar Ltd) with 30.0% equity; a paper manufacturer (Sappi Ltd) with 10% equity, and a BEE partner (The Sokhela Family Trust) with 34.9% equity. The mill has a 35 ton per hour refinery and produces EC2 quality sugar. UCL Company Ltd operates a sugar mill, a wattle extract factory, two saw mills, a number of mixed farms and a trading division. The Umfolozi Mill is owned by a group of four investors comprising a large cane growing company, the largest cane grower in northern KwaZulu-Natal, an unlisted public company whose shareholders grow sugar cane and a large alcohol producing company.